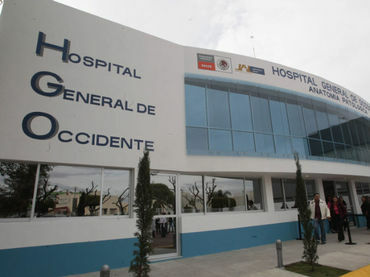 La politica es la politica: Nine year old mother in Guadalajara, Mexico, really "12 or 13"
Nine year old mother in Guadalajara, Mexico, really "12 or 13"
In January a nine year old allegedly gave birth by caesarean section at the Hospital General de Occidente in Gaudalajara, Mexico. The girl, who was said to have been assaulted and impregnated at age eight, survived, as did her baby. The identity of the young mother was not released, because, according to press reports in Mexico, she was a minor who “may have suffered sexual abuse” (sic). The indigenous girl was from the community of Ixtlahuacán, Jalisco. She was seen by doctors in Guadalajara on January 27, and they immediately performed a caesarean section in order to save her life, and the life of her child. “Given her age, her body was not fit or in the best condition to deliver a baby,” said Enrique Rábago Osorio, the hospital’s director, at a news conference. Both the mother and child were released and are reportedly in good health. Rábago Solorio said that the young mother received psychological counselling before and after childbirth, adding that there will be follow-ups in the coming weeks to assess any possible emotional disorders. The girl received a “subdermal implant” (likely Nexplanon or Implanon) as a contraceptive. This procedure was approved by her mother, said Raymundo Serrano, the head of gynecology at the hospital. On the advice of the medical team, the girl’s mother went to the government agency that specializes in child abuse. The case has now been reported to the state prosecutor. An anonymous source within the state prosecutor’s office told Mexican media that the alleged father is 17 years old. His relationship to the child was unknown. According to the girl’s mother, a cook who has 10 other children, when she realized her young daughter was pregnant she went to the alleged father and asked him to assume responsibility. She claims he accepted but wanted the girl to live with him. The grandmother refused, whereupon he left the state to look for work. It later turned out, however, that the young mother was in fact 12 or 13, and that her step dad was the real father.